Catherine started writing her first book, The Eyes of a King, when she was just 14 years old, and its publication in 2008 drew vast media attention for the then 19-year old, hailed as the next J. K. Rowling. Random House signed Catherine for a three book deal. Rights to Catherine’s books have been sold to 13 countries around the world and the book is already a bestseller in the UK. 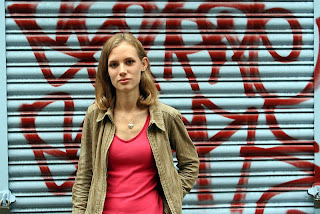 Catherine lives in Cambridge and is reading English at University. 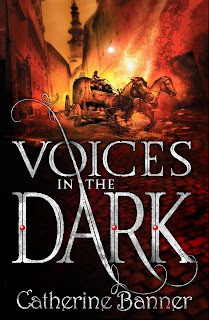 Her second book, Voices in the Dark has just been released by Corgi, an imprint of Random House. Part one was published on Tuesday. In 2006 your portrait photograph was displayed in London’s National Portrait Gallery - the theme of the exhibition: the most exciting young talents in Britain. It has been remarked that you may be the next J K Rowling. How do you manage your own expectations and that of your publishers with that sort of coverage? I find publicity daunting, though it’s a big honour to be praised as a writer too. I think in the end, the publicity doesn’t change anything, and so that makes it easier to deal with. What I care about is the writing, and with my publishers I’m working on the story itself, and the way it’s going to look as a printed book. Publicity and media attention end up becoming totally separate from that. I think readers were able to recognize that the comparison with J K Rowling was something that came from media publicity, not the actual book, and still read it on its own terms. The two books are very different. I don’t look at much of what’s written about my books because it’s too strange, and so I really just focus on the writing, and it seems to all work out. One of your Amazon reviewers says, “Like the best wines, she needs to be lovingly matured”. Do you have any support from your agent or publisher, particularly since you started writing commercially so young? They have both been very supportive. I’ve had the same editor for the whole trilogy, and she knows the books very well and also knows a lot about writing, so the editorial process has really helped me. My agent has kept a lot of the pressure off me while I’ve been writing, which I’ve appreciated. One part of that was the decision to publish The Eyes of a King later so that I could spend the time I needed on the second two books in the trilogy, and finish sixth form. My publishers have also been understanding about deadlines now that I’m at university. Writing has always been a long-term plan for me, and I think that’s something they both share. If I wasn’t published, I’d still be writing the same books – but I know the publication process has made me a better writer, and I’m very grateful for that. What do you think you will be writing in ten or twenty years? I think what I’m writing will be different, but the concerns at the heart of it will be the same – the relationships between characters, the way people try and make sense of their world, their personal struggles. I know I want to still be writing, but I don’t know which ideas will take shape over that time. As a writer, one is often told, read widely, write every day. What are your recommendations for aspiring authors, starting out in today’s world of publishing? I’m still at the start of my career as an author, so I can’t say too much. I think it’s different for every writer. Reading and writing are both things that have helped me a lot, but the reality of the story came first, the pictures I had and the characters’ voices. I wanted to write because of the story that came to me, so then it became a question of finding the right voice, saying what had to be said in a way that was authentic. It’s something that doesn’t rely on an academic knowledge of writing but is much more intuitive. But I’ve read a lot about writing, and that helped too. I know some authors don’t like to read books on writing, so it doesn’t work for everyone. But I think if you can see how other people are tackling other problems, you can start to question your own practice and develop it. Do you consider yourself a Fantasy writer, or YA author, or something else? This is a difficult question. I don’t read very much mainstream fantasy, and I didn’t consider the book to be fantasy when I wrote it, at least not completely. But I think there are fantastic elements in a lot of books, at least a concern with the magical – and this was something that always captured my imagination. For me it was a search for the best way to tell the story, and along the way The Eyes of a King became the story of a young adult character, living in a world in which the possibilities of magic are entertained much more on the surface than they are in ours. Whether this makes it a young adult fantasy book I’m not sure, but I’m happy for it to be defined like that. Who is your target audience, did you have one in mind when writing and do you think it is important? For example, in Germany you are published with Penhaligon, the first publisher aiming fantasy at broader age groups than YA, targeting an adult audience of between about 18 and 30. I didn't have a target audience in mind. I find it difficult to write for someone at a distance from my own vantage point, which I guess is why my characters are becoming older with each book. I always feel that I’m writing for whoever wants to read the story. So I like the fact that some readers have seen the book as fantasy, some as realism, some as a young adult book and some as an adult book. Some of my publishers have seen the books as crossover or adult fiction, some as young adult books. It’s something that I think becomes clear once you see which readers the books speaks to, and maybe it’s quite hard for an author to judge. So it’s exciting that different publishers see it appealing to different groups of readers. Do you often hear feedback from your readers? The most exciting feedback I’ve had is from people who seem to have really identified with the book in some way, who seem to share some feeling I had about the story when I was first writing it. It’s especially amazing and moving when this comes from someone thousands of miles away who I would never have known otherwise. I think that’s really when the book becomes complete. At that point even criticism is encouraging, because it’s exciting to see people engage with the book and turn it into a conversation, and you can learn a lot as a writer from it. Does your study of English, including any particular writer or book, have any great influence on your own writing? I applied for English mostly because I wanted to study writing as a craft in more detail. I’m very glad to be studying; it’s really been invaluable. I think they both influence each other. But the authors I most admire – George Eliot, Derek Walcott, Raymond Carver – aren’t writers who have much in common with each other, or whose work influences me directly. I think what I’ve learned is much more indirect. It’s about what it means to be a writer in the world. And also, studying very great writers makes me want to keep writing better myself. Do your university peers make any comments on your writing life? It’s not something people usually find out about me directly. Some of my university lecturers still don’t know. But mostly people say kind things and don’t make too much out of it. Growing up, my friends always had interests and passions, and that’s something that still continues at university, so it’s something I have in common with them. Studying at Cambridge and writing books for publication can’t leave you much spare time. Do you wish for anything more? I don’t feel burdened by the work I’m doing – or work too many hours more than full-time right now. Sometimes it’s busy, but the most important thing to me is always the people I care about, and in the end that puts the rest into perspective: deadlines can be moved, and work can be caught up, as long as the most important things in life are all worked out. I think I’m lucky that both my university teachers and my publishers have been very understanding about balancing the two commitments. The good thing about writing novels is that it’s something I work on steadily, hour by hour, alongside the rest of life. Of course there are points when I work twelve or fourteen hour days for a full week to finish a draft. I think it’s a bit inevitable with such a long project, which occupies so much of your mind, but luckily it doesn’t happen too often. Are there any issues which feature in Malonia that you would like to address in real life? Writing has always been about telling stories for me, so within the books the issues come from the characters, not the other way around. So I do feel like real life is the place to address those things practically. I think that’s part of the reason why I don’t write full-time, so I can keep that balance. I’m hoping to work in education or in the charity sector after I finish university, but also to write, and I think the two will always remain separate but balanced. How much are you required to drive your own publicity and promotion, or to what extent do you get involved? 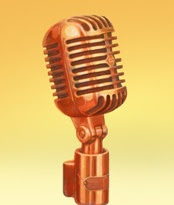 For Voices in the Dark I’ve been doing some email interviews, which I find really interesting – the questions always make me think about writing in new ways. I also went to Canada when the book was launched there. It was amazing to talk to people there who had read the books, and something I really appreciated, especially since I don’t generally fly much for environmental reasons so the trip was a great experience too. I don’t do very much publicity, mainly because I spend so much time already on writing and university work. But my website is about to go online which I’ll add to over the coming weeks. It will hopefully be a way to talk to people more directly about writing. I believe you have started work on your third book in the trilogy. Can you tell us anything about it? I’ve just finished a first draft. The book takes place 17 years after Voices in the Dark, at another moment of crisis in Malonia, when the family are once again struggling to stay together. But this is the book where some of the questions about magic and the family’s destiny are finally answered. Assuming you were on Desert Island Discs, favourite piece of music, which book and which luxury object would you like to take with you and why? I would choose Snow by Red Hot Chili Peppers, because it reminds me of a lot of happy times. For the book I’d take Middlemarch by George Eliot. There are so many stories within it that it would be a good choice for a desert island. For the luxury item I’d take a photo album with pictures of everyone I love, so I wouldn’t start to forget how they look while I’m stuck on the island. Many people go through much of their life dreaming of becoming a published author. What other dreams do you still have? For writing, I think I still have the same aspirations, to constantly improve and to keep finding new stories. I see writing as a journey, and publication is a part of it, but writing hasn’t stopped for me because of that. And personally, I’m very happy now so I hope that continues. If I can spend my time with the people I care about then that’s the most important thing. Author images courtesy of Simon Trewin. Catherine Banner is sure to become one of the great writers, her work is rich and elegant. Great interview.